A year-and-a-half ago, I accepted a new challenge. A chance to change the direction in my life. In becoming a Founding Partner with the John Maxwell Team, I knew I’d found a way to make a difference in the lives of others. It’s been quite a journey for me. When I left my full-time job some months ago, I started with a firm belief in the direction I was heading. I envisioned myself building on years of experience in Human Resources, bringing leadership training to the corporate world. When time permitted, I’d take the money made from the corporate world and head back out into the world at large to work with people around the globe. What I didn’t expect was the struggle I would find. Nothing has gone the way I had thought it would. John Maxwell had emphasized for all of us the importance of finding our own calling, first and foremost. No problem, I knew what mine was. Or I did right up until I tried to put it into play. Truth be told my heart wasn’t in it. No matter how I tried to explain to people what I was doing, they just “didn’t get it”. The truth is, with all these different bits and pieces swirling about, I kept thinking I’d lost something. Something important. The words of an otherwise long-forgotten teacher echoed in my head. “When you’ve lost something important, go back to where you last had it.” I didn’t know where I’d last had it, but hours of soul searching kept leading to one place. In my mind, I headed back to the land of childhood, to the people who gave a missionary’s kid a home. Minahasa. And every time my mind went back to Minahasa, I heard the call of Watu Pinabetengan. Okay, so it’s not your everyday tourist destination. And outside of my friends from Minahasa, nobody’s actually heard of the place, but it had symbolic meaning for me. Watu Pinabetengan, the Stone of Dividing. The place where eons ago, the waring tribes of Minahasa met, divided up the land amongst 7 different tribes and emerged, as the Minahasa people. Seven different tribes kept their languages, their cultures, and their identities, and added something more. Minahasa. The name Minahasa means, “Becoming One, United”. Watu Pinabetengan might be the Stone of Dividing, but it was also the place where important decisions were made. A place where different beliefs and cultures came together and chose to live in peace and harmony. And not just live in peace, they also chose to stand together and support and defend each other as needed. It was then I realized something. I haven’t started a new journey after all. I’m just taking the next step on a journey that started for me in Minahasa. I loved growing up overseas, living with different cultures, learning different languages. I really only became fluent in Indonesian, but I loved the thrill of learning new words in some of the different tribal languages. Loved learning folk songs, loved being around people who loved being who they were. 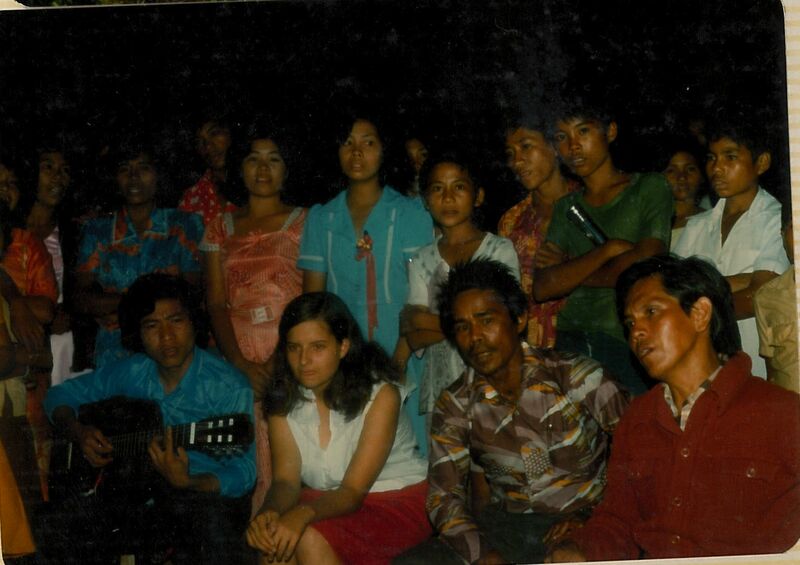 It was in Minahasa that I began my search to know where I came from. Genealogy. It’s never been enough for me to know the begats. I’ve always had to study the history and the culture of my ancestors. To learn more about what shaped the lives that would one day shape me. It was also in Minahasa that I began to feel a sense of loss. The loss of cultures being eroded by exposure to Western culture. Fewer speakers of tribal languages, the loss of a way of being, surrendered in the name of progress. Even as a child I sensed something important was slipping away. And I hated that it was going.My journey is about “becoming one, united” . About beauty and wonder, loss and sorrow, healing and hope. Separate threads woven together in the beautiful tapestry of life. It’s about choosing to live in peace, harmony, and beauty, with the diversity that has touched my life. This entry was posted in culture, diversity and tagged culture, diversity, growth, harmony, Indonesia, Indonesian, journey, Learning, Minahasa, Sulawesi by kharapan. Bookmark the permalink.